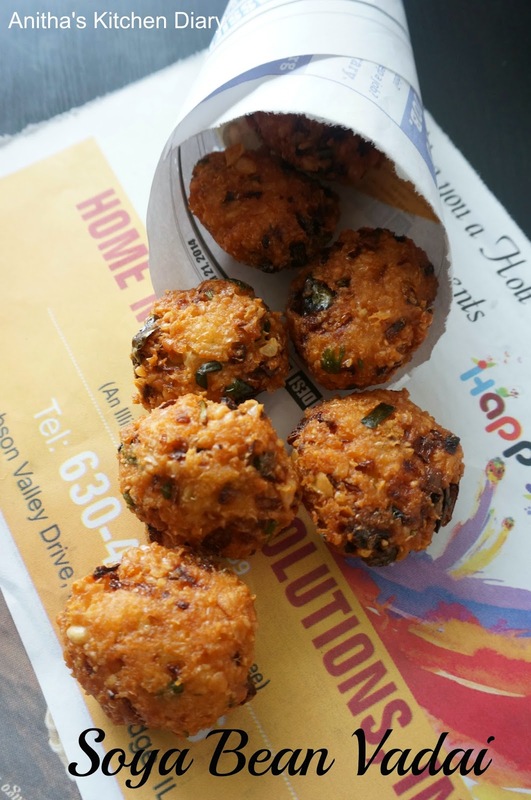 I'm a big fan of masal vadai. For this tamil new year i want to make masal vadai but with different legume.When i searched in my pantry these soya beans are sitting for long time. So soaked it for making vadai. I usually make Sundal and Curry recipe with these protein rich legume. 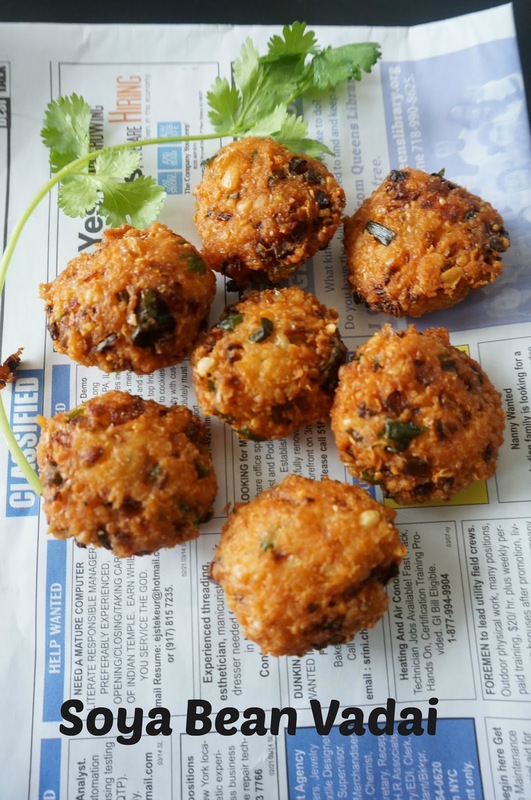 It is a good way to make last cup of soya bean into a vadai.These quite addictive one. Wash and soak the soya bean for over night. Remove the water and blend it in a blender with fennel seeds and some salt as a coarse paste. Mix the chopped the onion ,green chilli,coriander leaves ,ginger and curry leaves with the paste.Add required amount of salt and mix well. Heat oil in a pan ,once hot make small lemon size ball from the paste and drop it in oil. Cook on both the sides. Remove excess oil using paper towel. Sending this recipe to Paris "Only With Grains" Event happening @ cookingwithSJ.